Although Grenada’s economy expanded by 3.7% in 2017 which was on par with the rate of growth obtained in 2016, two sectors in the economy registered overall declines in growth during the same period. “Two sectors of the economy registered overall declines; the agriculture, livestock and forestry sector and the fishing sector. Crops value added declined by 6.4% as the output of other crops including fruits and vegetables fell by 24.3% to 2.3 million pounds, owing in part to unusually high levels of rainfall. 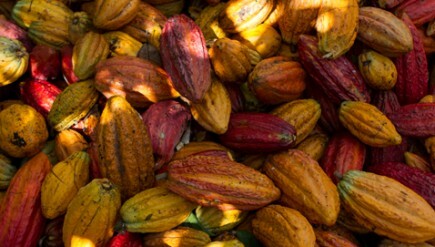 Cocoa production also fell by 14.7% as the rapid spread of the black pod disease affected the plants,” said the Eastern Caribbean Central Bank 2017 year in review which was published last week. “Nutmeg production rebounded during the period, growing by 17.2% which led to a 35.0% increase in value added. Similarly, there was an increase in the value added of the banana sub-sector which rose by 3.2%. The livestock and forestry subsectors both registered positive growth of 2.9% and 2.6%, respectively. Value added in the fishing sector declined by 4.3%, in contrast to the growth of 6.4% in 2016,” said the report which provides in-depth data and information about the status of the Eastern Caribbean Central Union members. The report explains that the stable growth performance was attributable in part to reforms and initiatives implemented under the 3-year Homegrown Structural Adjustment Programme, which has since concluded but legislation effort was done to maintain the gains. “There were strong performances in major sectors such as tourism, construction, and education with positive spin-off effects in auxiliary sectors such as transport, storage and communications; wholesale and retail trade; and real estate, renting and business services,” said the report which also said that consumer prices advanced at a slower rate of 0.5%, on an end of period basis. Once of the best performing sector was construction. “Performance of the construction sector was robust, increasing by 22.8% from a rate of growth of 13.1% in 2016. The sector’s contribution to overall GDP was 8.8%, compared to 7.4% in 2016,’ said the report which explains that the sector was bolstered by continued construction of private sector projects along with the execution of public sector investment projects. As it relates to manufacturing, the value added in the sector climbed at a slower pace of 2.6% in 2017, after registering growth of 4.6% in the preceding year. “The sector’s overall contribution to GDP was relatively static at 3.4%, essentially equivalent to the previous year’s outcome. There was an increase in the production of all beverage categories, with the exception of rum, which declined by 14.0%. Beer output rose by 11.1%, and that of stout and malt production increased by 1.6%,” said the report.